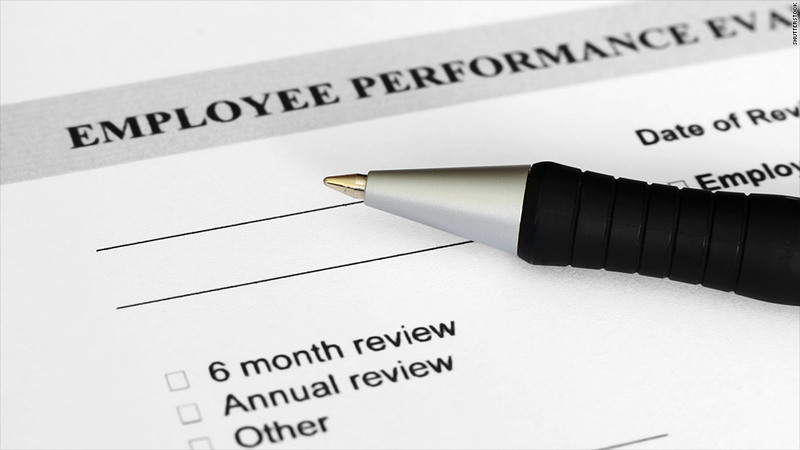 Microsoft has revamped its performance review process. It axed the "stack ranking" that pitted employees against each other. Microsoft is getting rid of its much-maligned "stack ranking" method of reviewing employees. The system forced managers to rate a certain percentage of workers as underperforming, no matter what. The ranking system also helped Microsoft (MSFT) decide which top performers received promotions and bonuses. But critics and former Microsoft employees alike have said the program pit staffers against each other -- which hampered collaboration and put the focus on internal, rather than external, competition. Microsoft's new review program focuses on personal performance and teamwork that benefits the company -- which means "no more curve" and "no more rankings," according to an email that HR manager Lisa Brummel sent to global employees on Tuesday. Microsoft shared the email with CNNMoney. A Microsoft spokesman would not say when the company first enacted its stack-ranking setup, or how many categories it used to rate employees. But classic stack ranking -- also known as a vitality curve, or the more blunt "rank and yank" -- classifies employees based on a 20-70-10 system. The top 20% of workers are deemed the cream of the crop, 70% receive adequate ratings and the bottom 10% are characterized as underperformers who potentially should be fired. That 20-70-10 setup, which former General Electric (GE) CEO Jack Welch popularized in the 1980s, spawned similar ranking programs at Motorola, IBM (IBM), Ford (F) and other companies. Related story: Should performance reviews be crowdsourced? At Microsoft, CEO Steve Ballmer reportedly championed the system. Ballmer announced in August that he would leave the company within 12 months. And a scathing Vanity Fair article from August 2012 about Ballmer's tenure -- titled "Microsoft's Lost Decade" -- pegged stack ranking as a major contributor to the company's struggles. "Every current and former Microsoft employee I interviewed -- every one -- cited stack ranking as the most destructive process inside of Microsoft, something that drove out untold numbers of employees," Kurt Eichenwald wrote in the Vanity Fair article. But the end of stack ranking at Microsoft comes just as another tech giant has reportedly embraced it. According to tech blog AllThingsD, Yahoo (YHOO)employees are reeling from 600 recent firings as a result of a stack-ranking system that was instituted by CEO Marissa Mayer after she joined the company from Google (GOOG) last year. Yahoo did not return calls for comment.